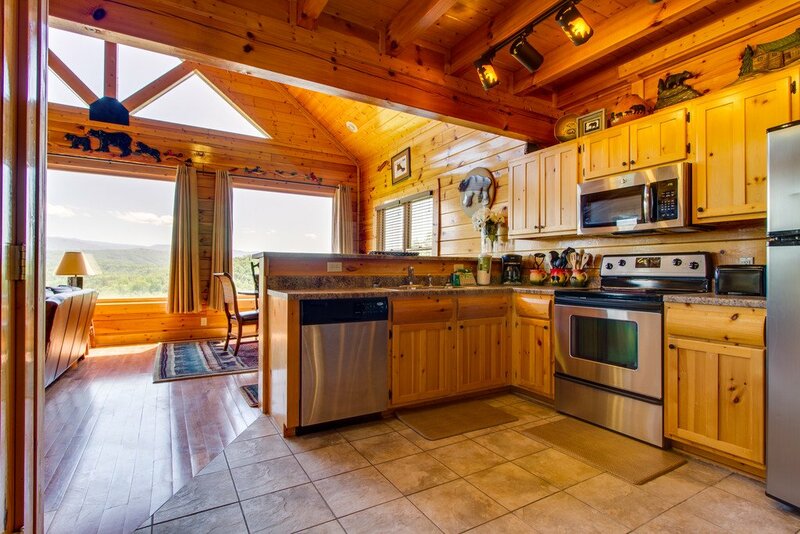 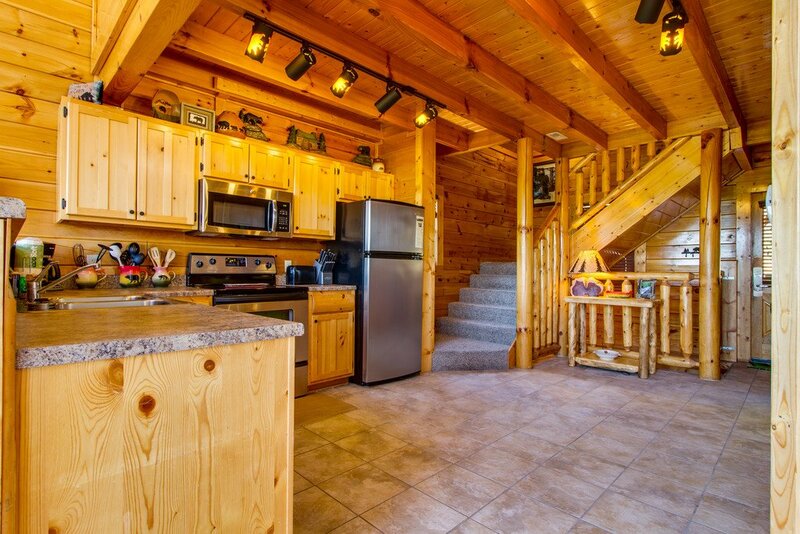 You enter “Cub Castle” into an open-plan kitchen that is fully equipped for all your needs. 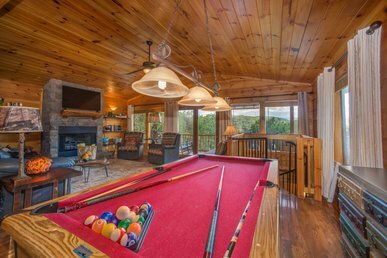 There is a bar counter with three stools and a dining table that will seat six comfortably. 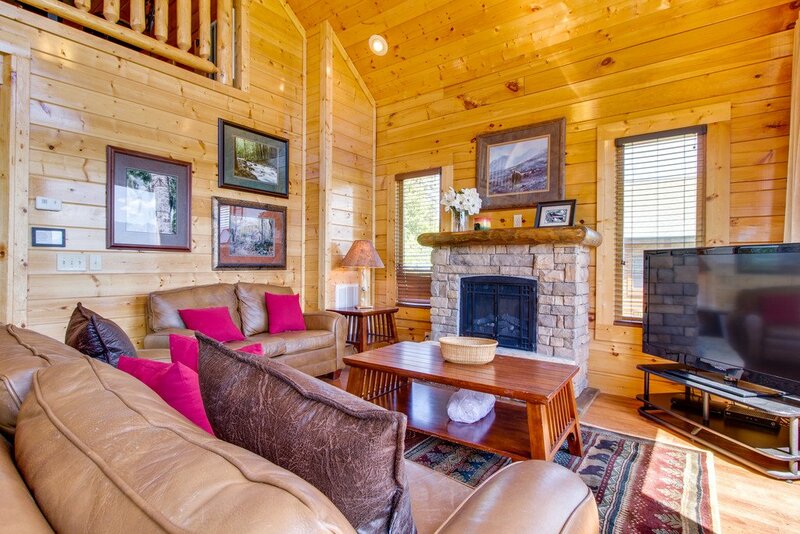 This opens to the living room featuring a soft leather sofa sleeper, love seat and electric fireplace. 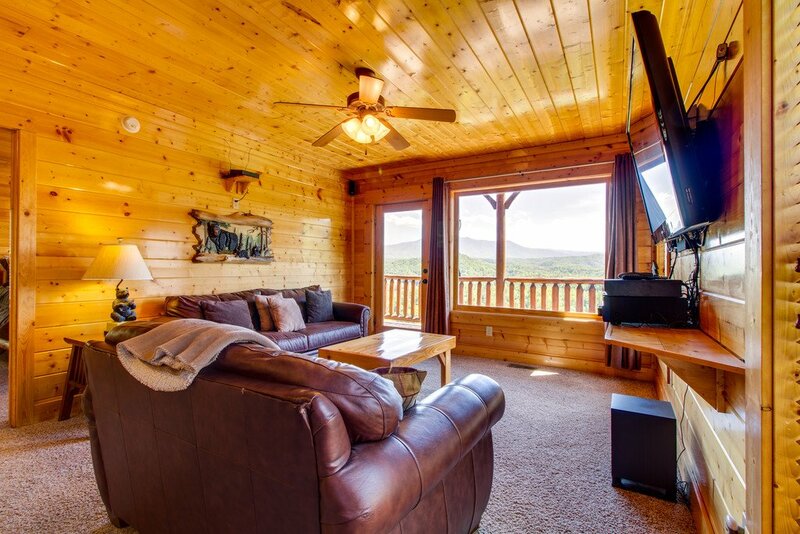 Kick back and watch TV on the 50 inch flat screen HDTV with Blu-Ray DVD player and Netflix. 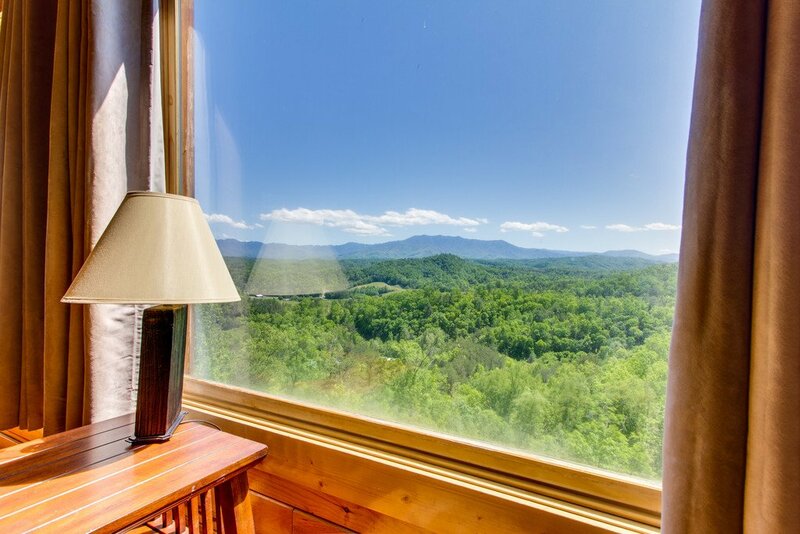 The floor to ceiling windows frame the breathtaking view that goes on forever. 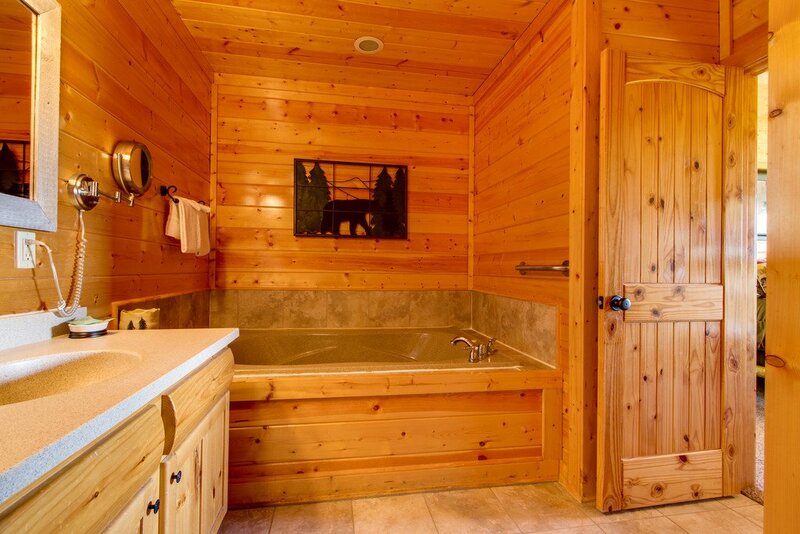 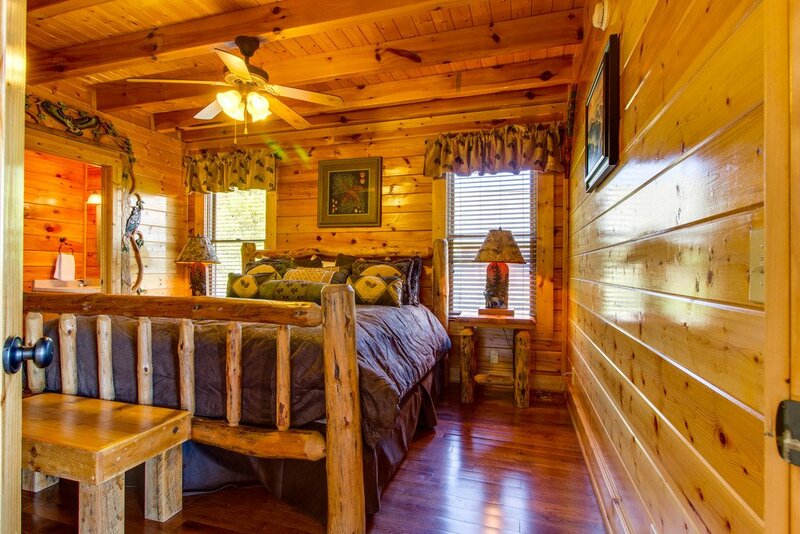 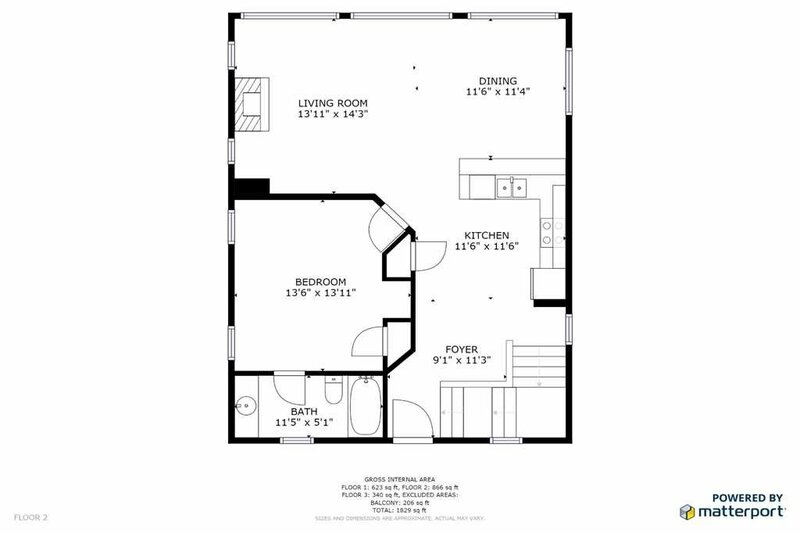 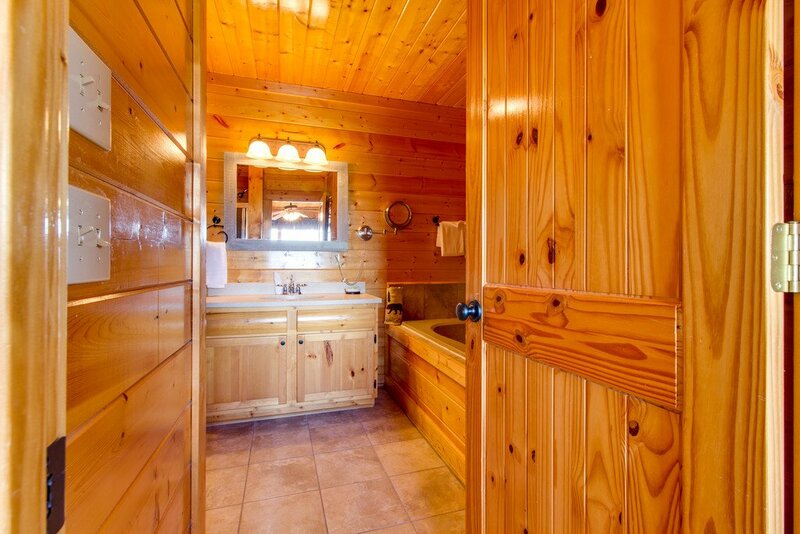 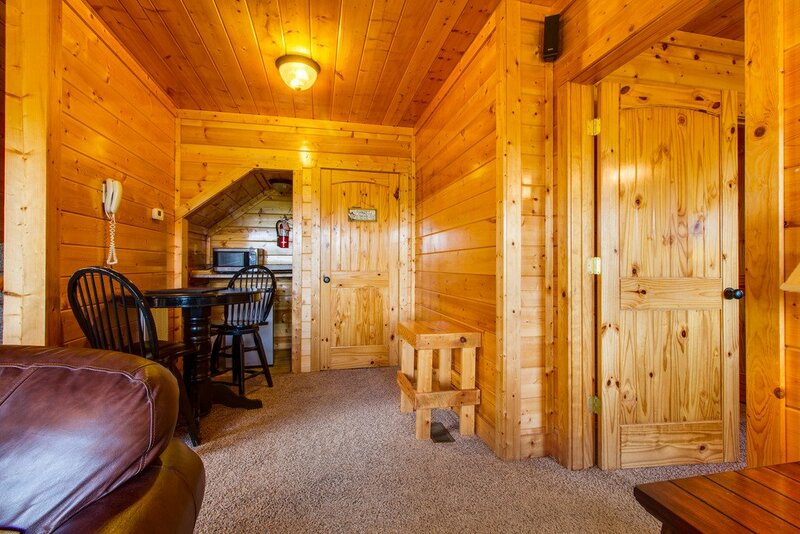 This level features a King Master suite with a 32” flat screen HDTV with Blu-Ray and a full size bathroom. 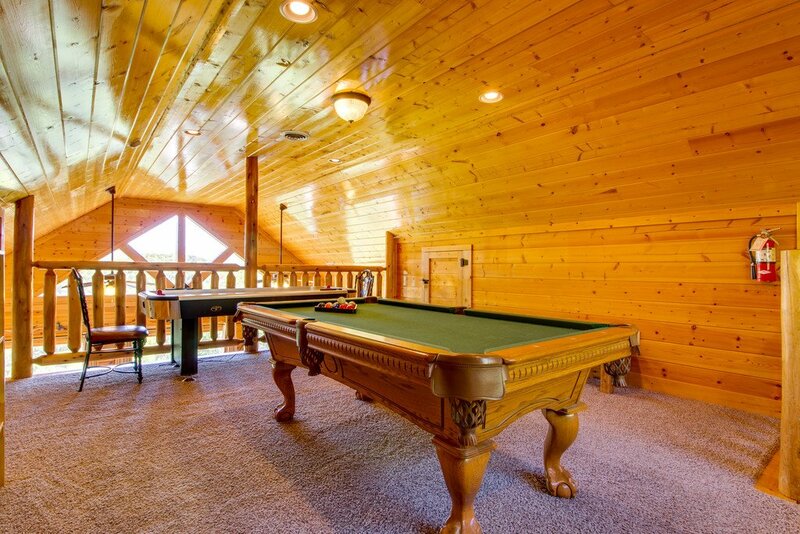 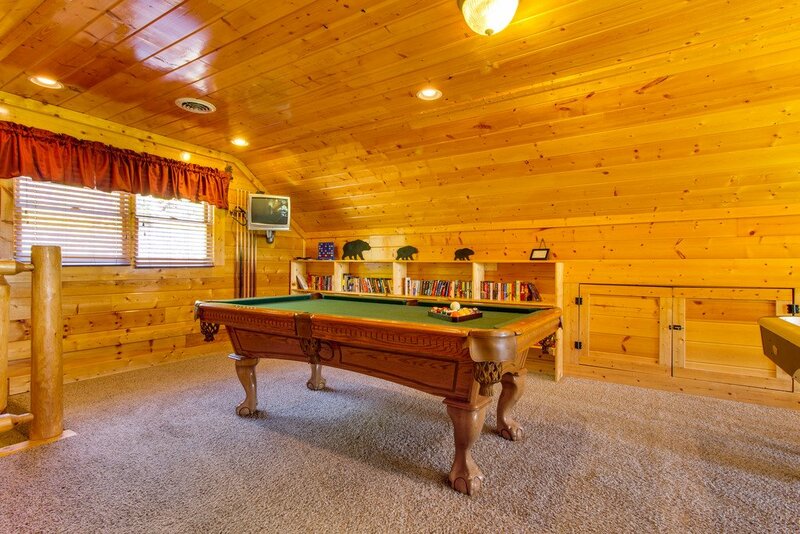 On the top level is the game area with a pool table, air hockey table, table and chairs, TV, poker chip set, a large selection of board games and a bookcase with an assortment of books. 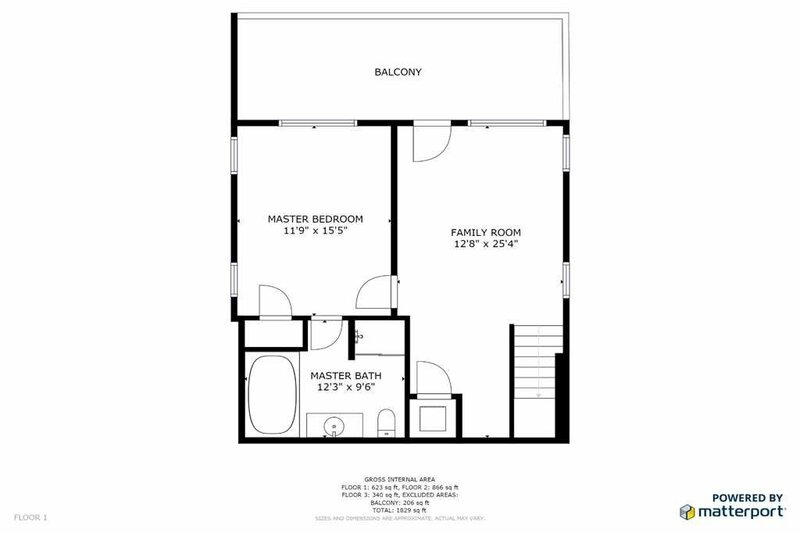 The lower level offers an additional living area including a leather sofa sleeper, love seat, a 55 inch Flat Screen HDTV, Blu-Ray DVD player and surround sound with an iPod docking station. 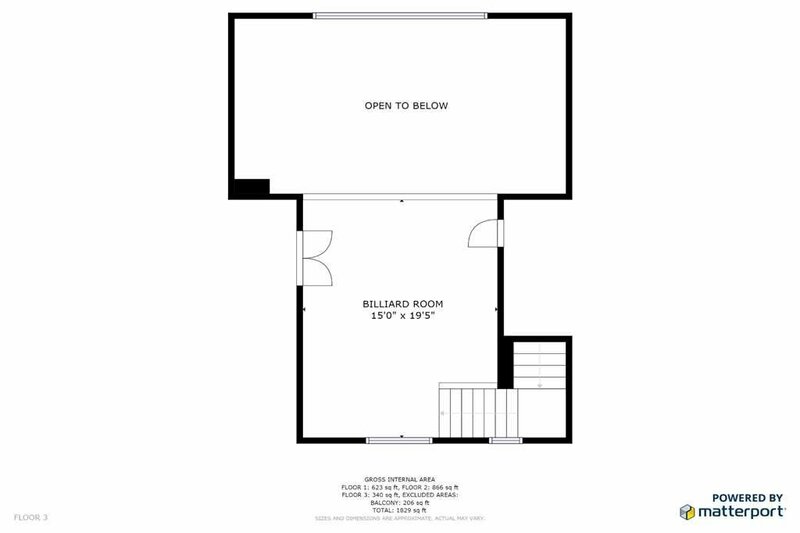 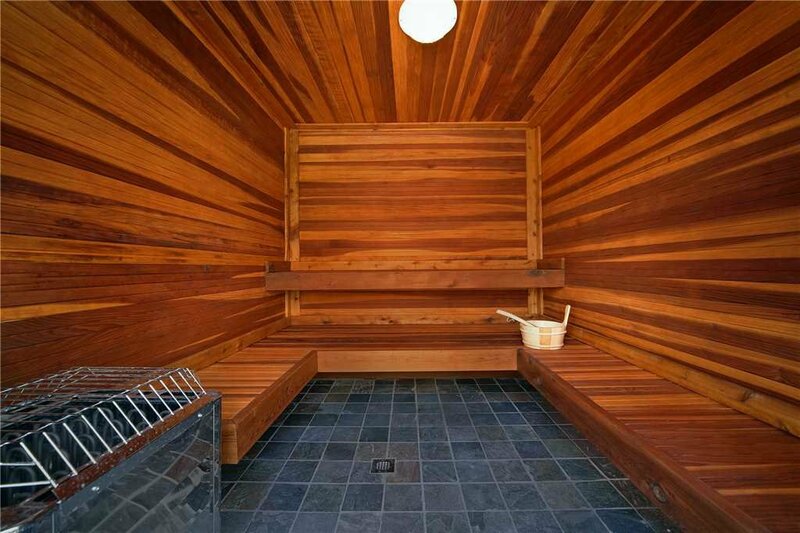 For extra convenience, there is a small refrigerator and a microwave. 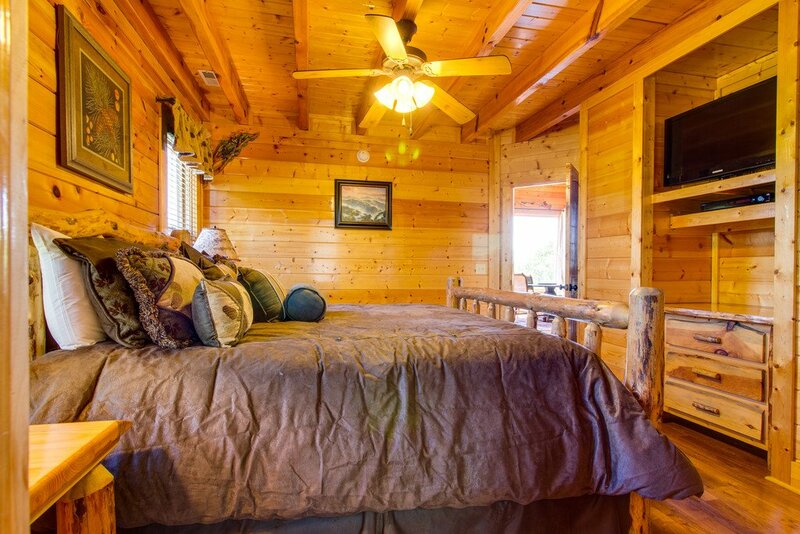 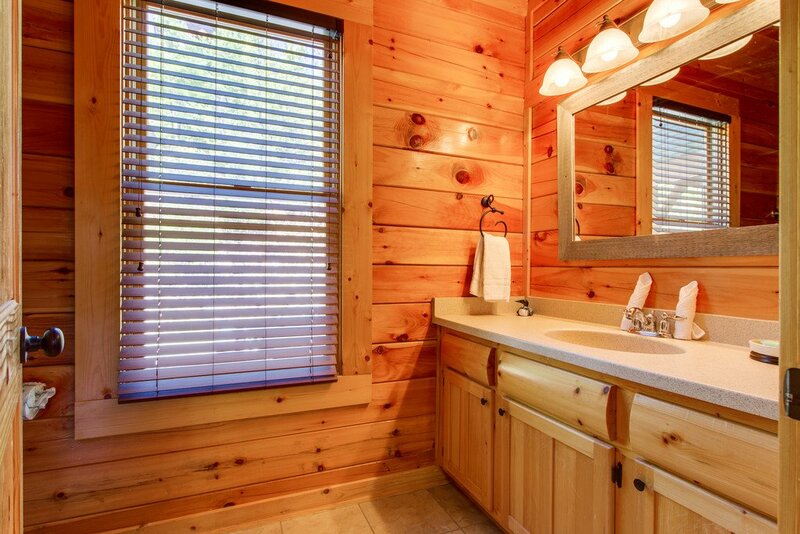 The bedroom on this level offers a king bed, 32 inch flat screen HDTV, Blu-Ray DVD player, dresser, closet, and a full bathroom with a jetted tub and a separate shower stall. 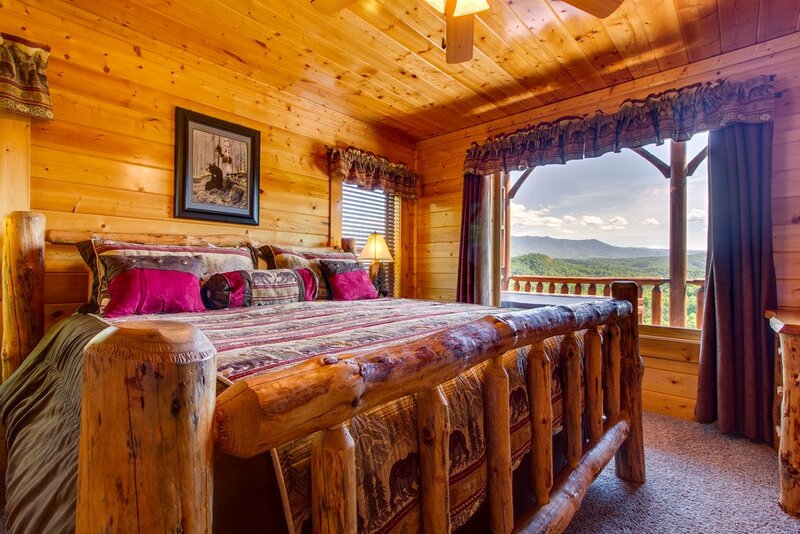 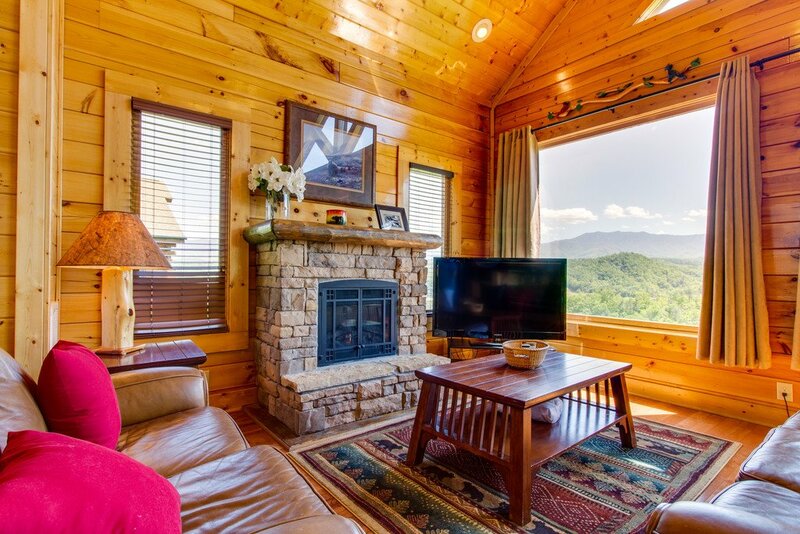 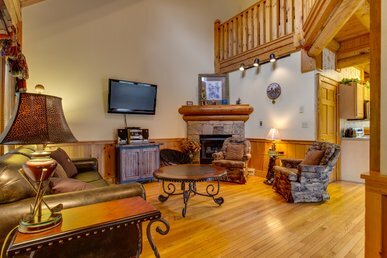 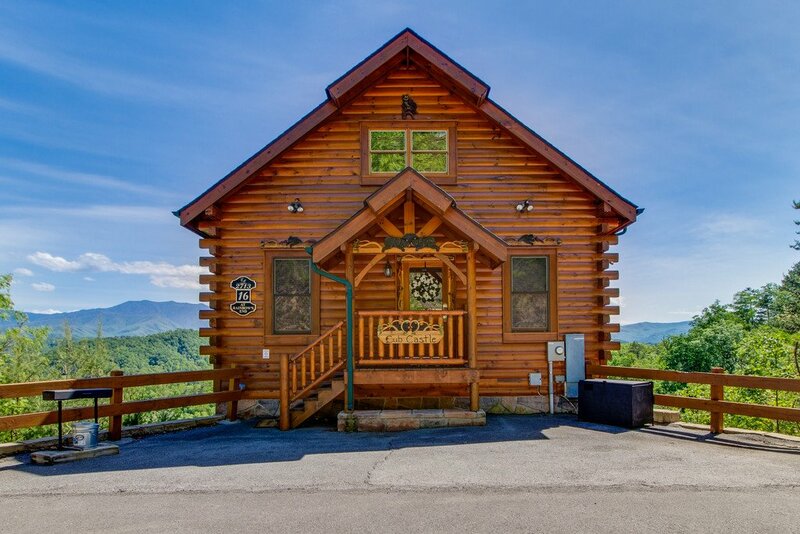 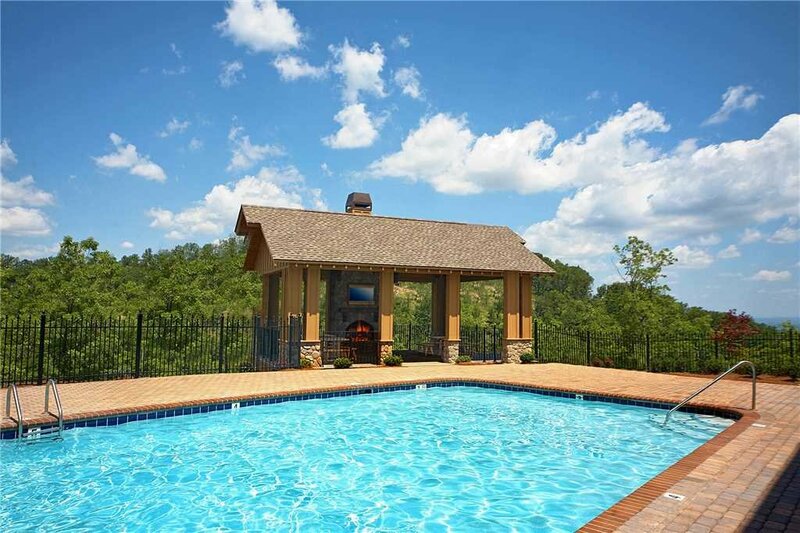 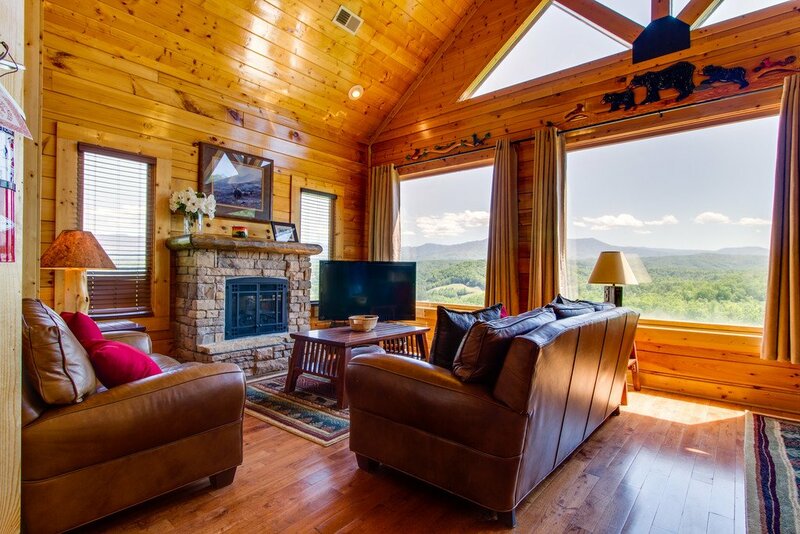 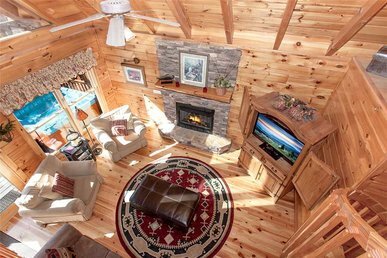 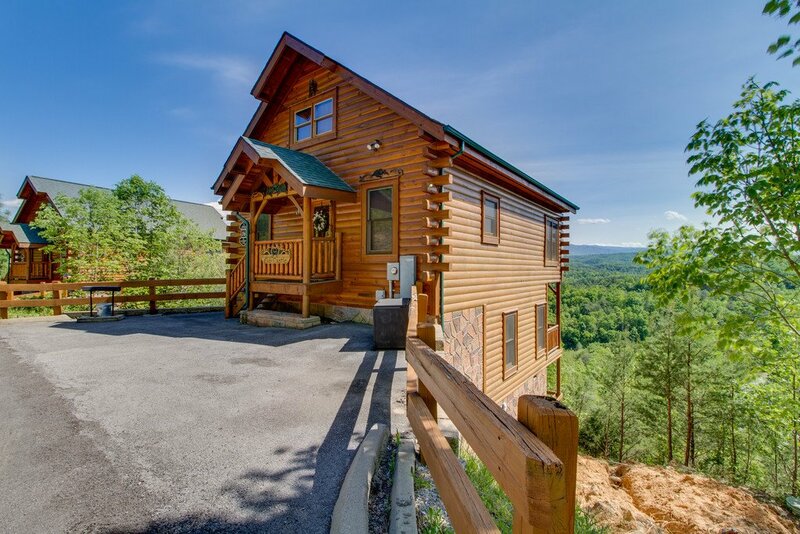 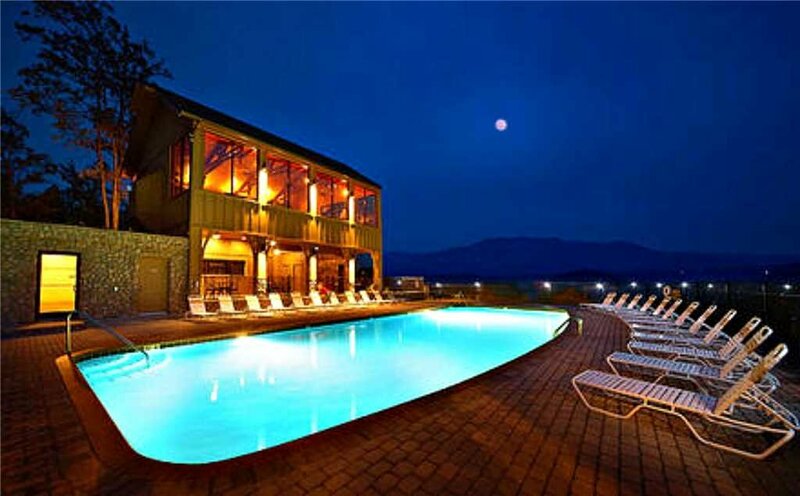 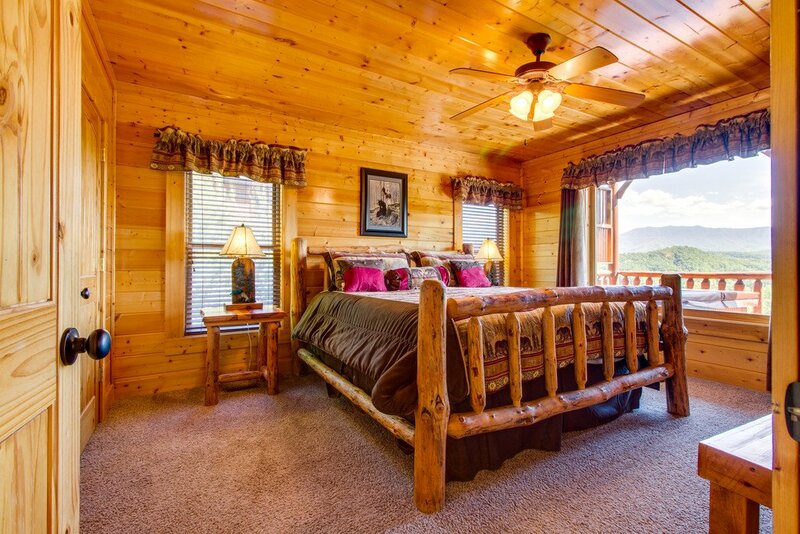 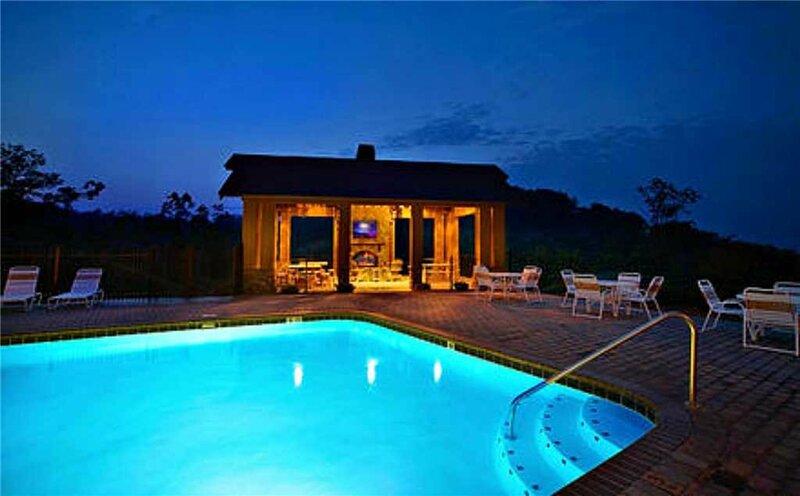 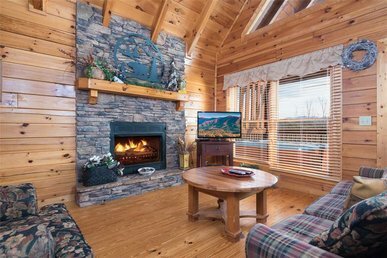 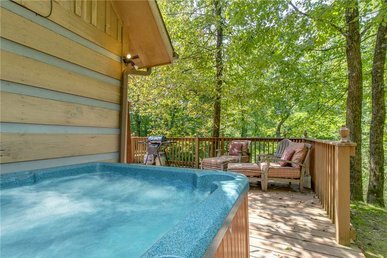 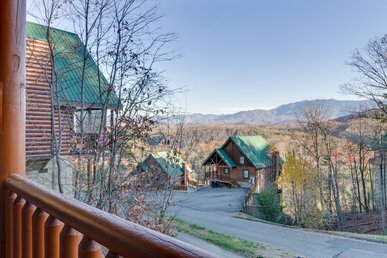 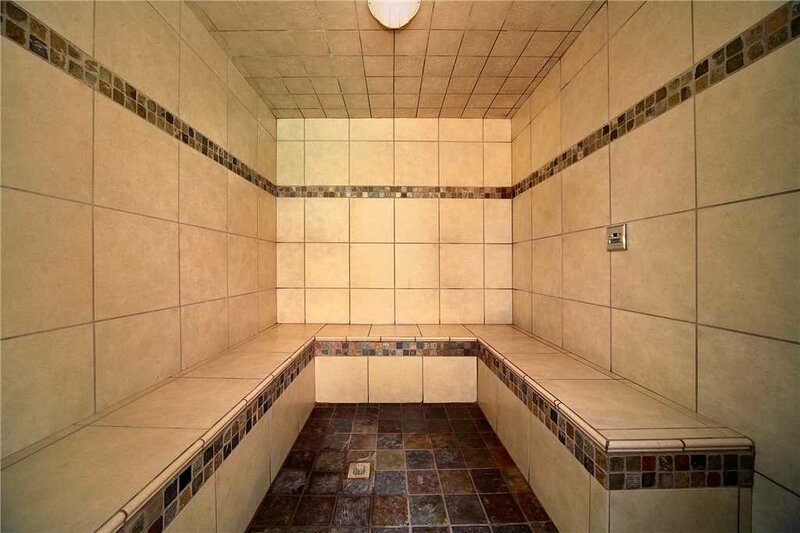 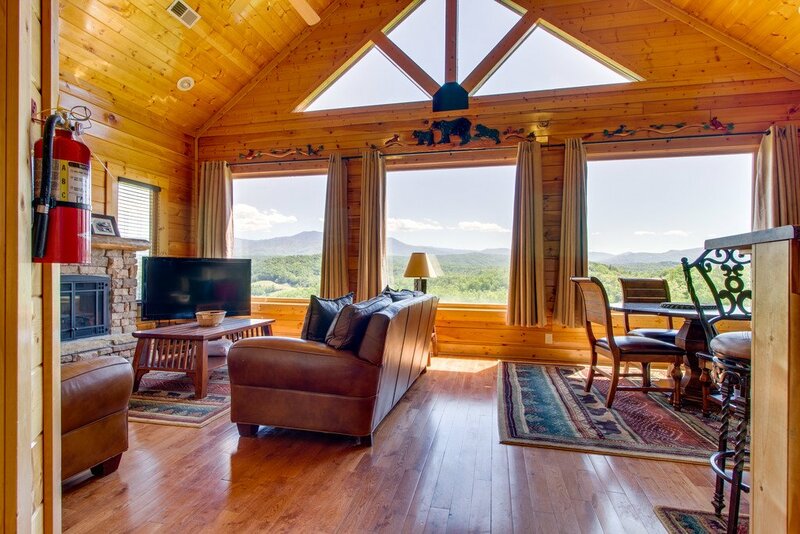 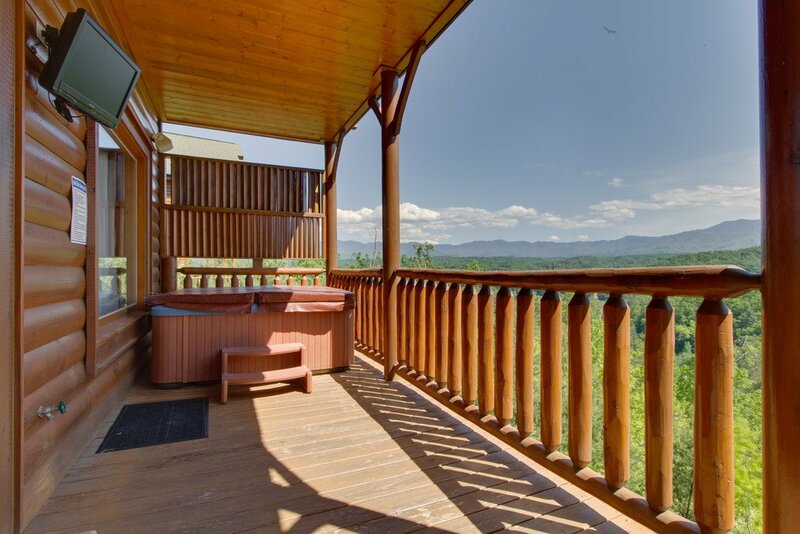 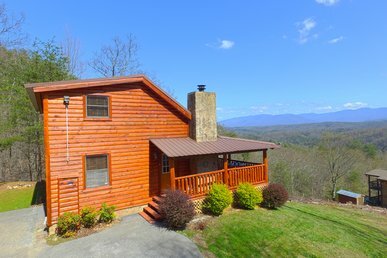 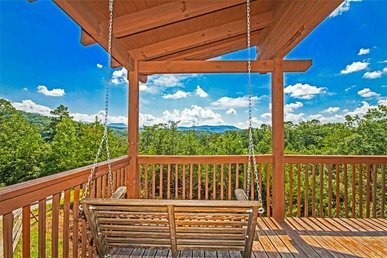 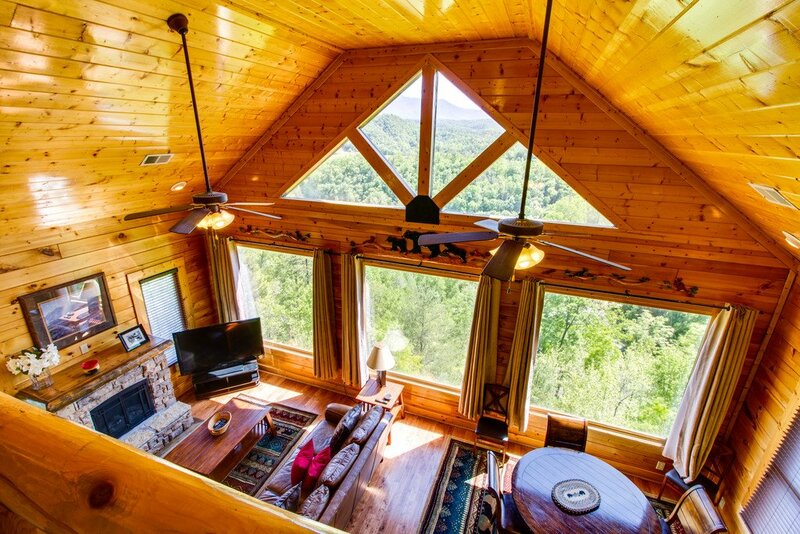 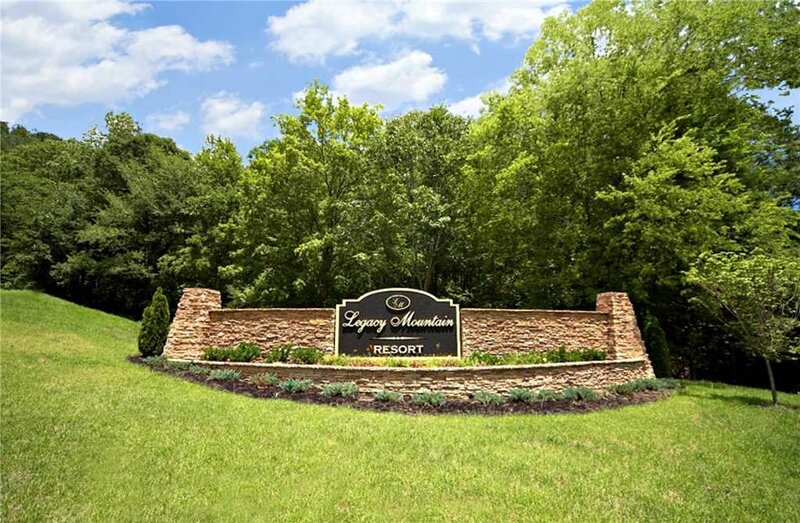 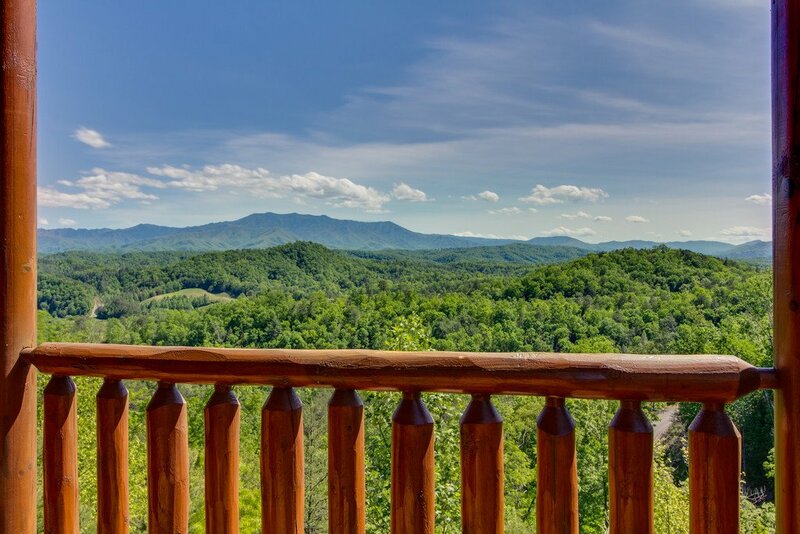 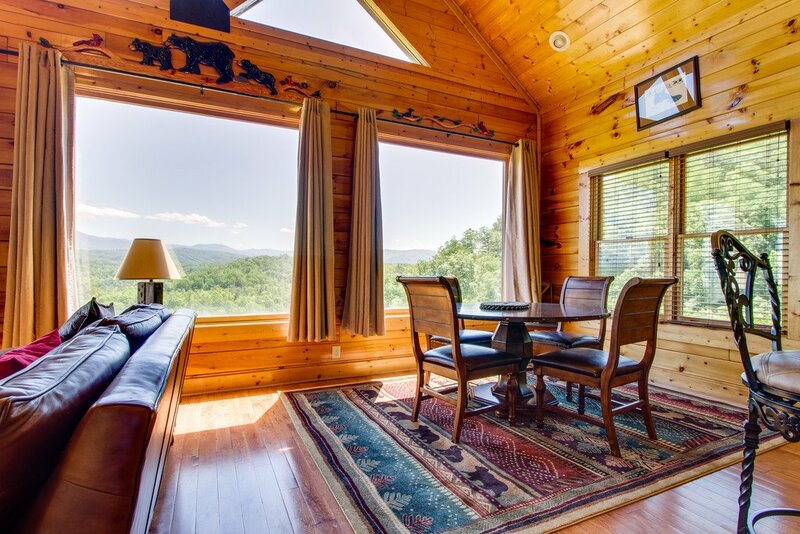 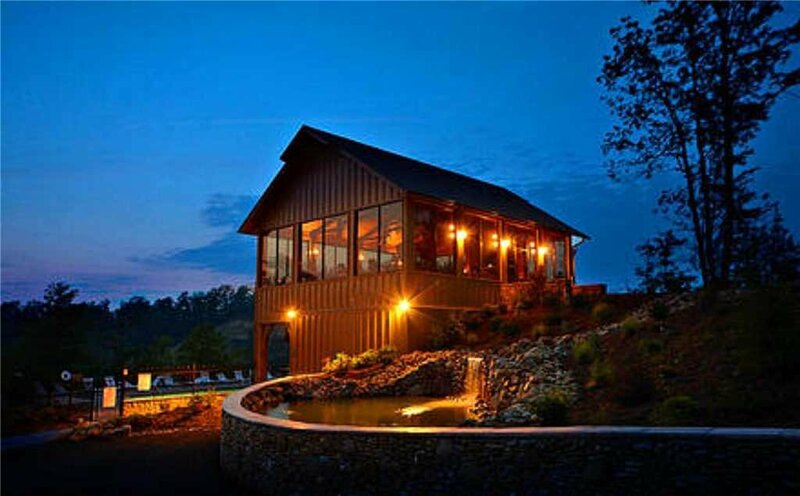 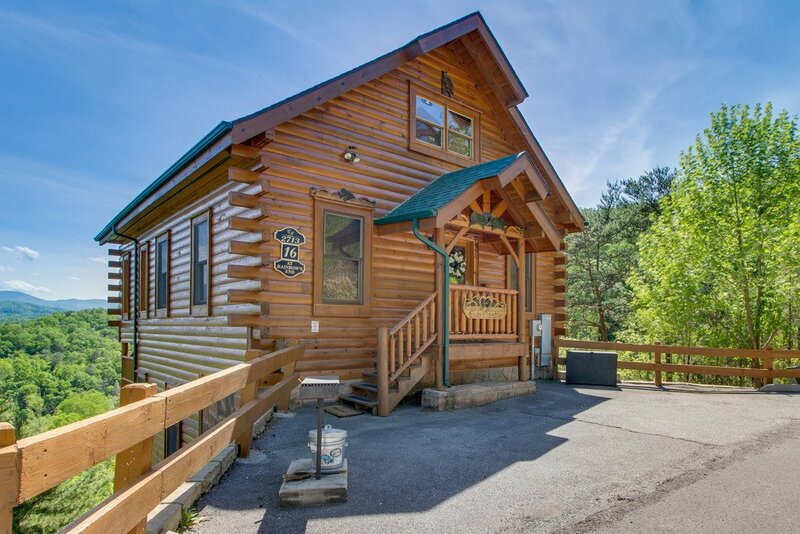 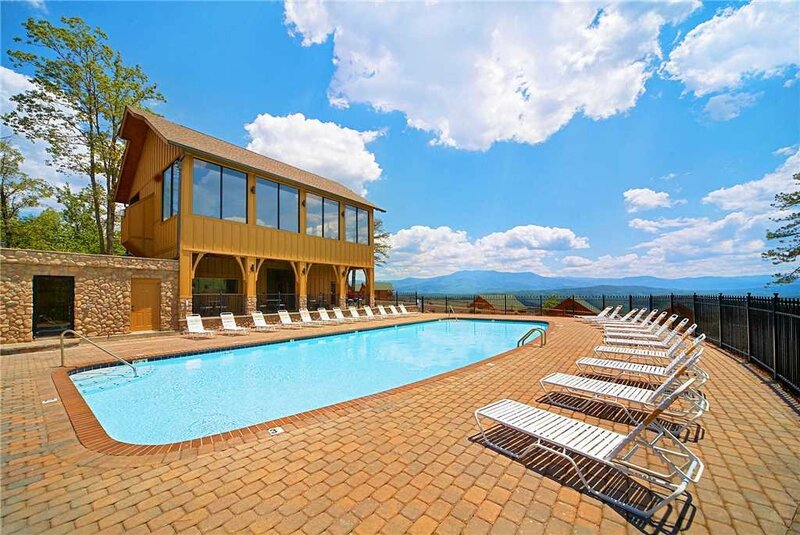 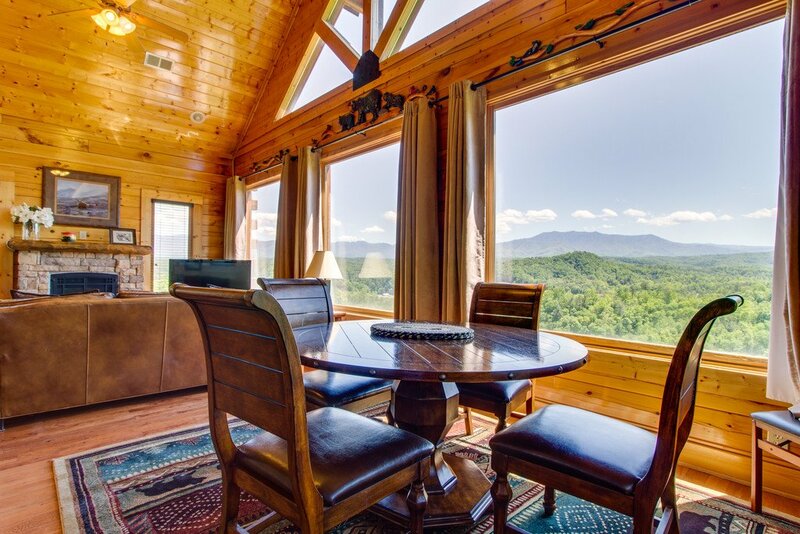 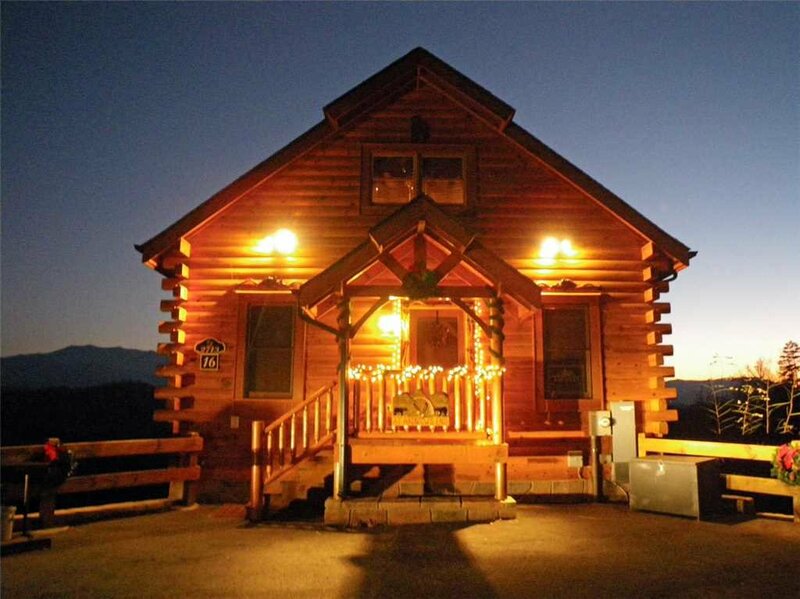 The deck on this level has your comfort in mind where you can relax in the hot tub or one of the rocking chairs while enjoying the amazing Smoky Mountain views or watching TV. 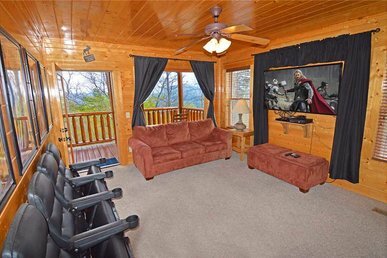 Yes, there is a TV on the deck. 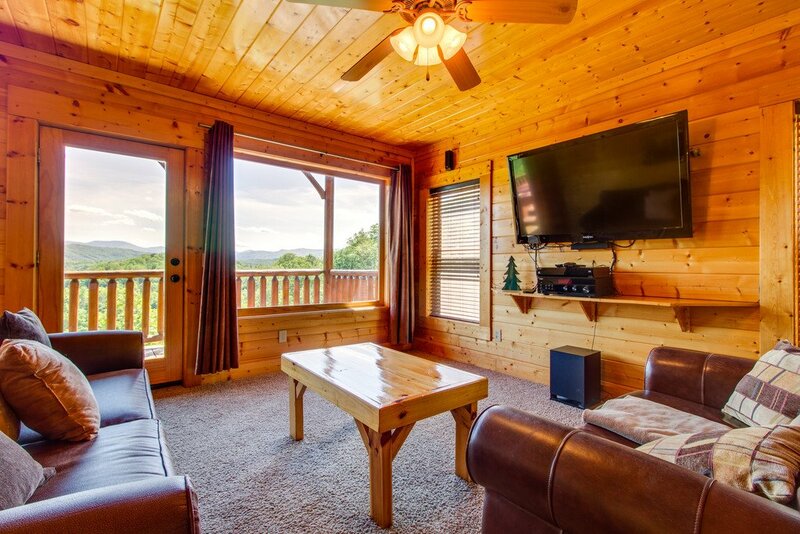 A 24 inch flat screen HDTV with speakers to enjoy.